I think I have told you that I caught a terrible cold… Unfortunately I’ve been quite sick for almost 2 weeks so far. When I don’t feel well, the only thing that I want to have is something light and nutritious– for example, a piping hot bowl of my Grandma’s Chicken Soup and warm beverages. That is why today I am making this comforting Quick Salted Caramel Apple Cider. As always, I want to share my Salted Caramel Apple Cider with you. 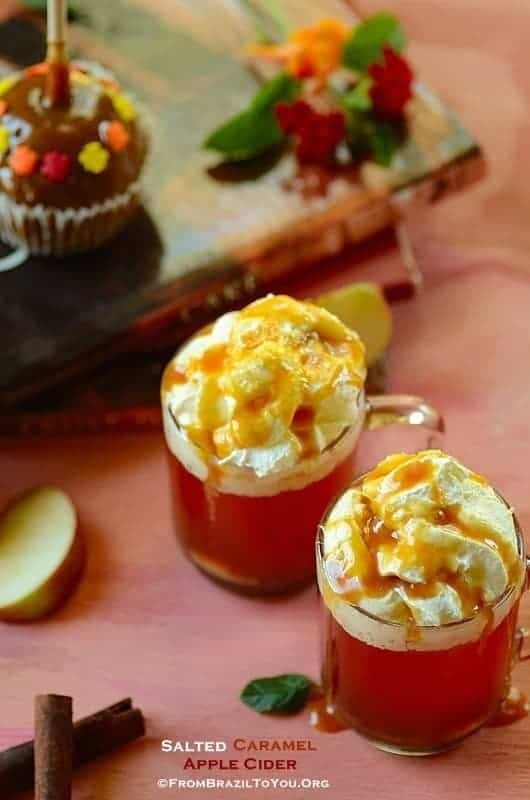 Our Quick Salted Caramel Apple Cider has warm spice and apple notes combined with the creaminess of the whipped cream, as well as the contrasting flavors of rich sweet caramel and sea salt. It is a drink to please any palate, while at the same time warming up the body, wouldn’t you agree? Try it and you’ll get hooked on this fantastic salted caramel apple cider. Enjoy, and stay warm! Quick Salted Caramel Apple Cider -- The Ultimate Fall Drink! In a medium saucepan, combine apple juice, apple pie spice, and cinnamon sticks together and let cook over medium heat for about 20 minutes. Remove cinnamon stick and stir in sugar. 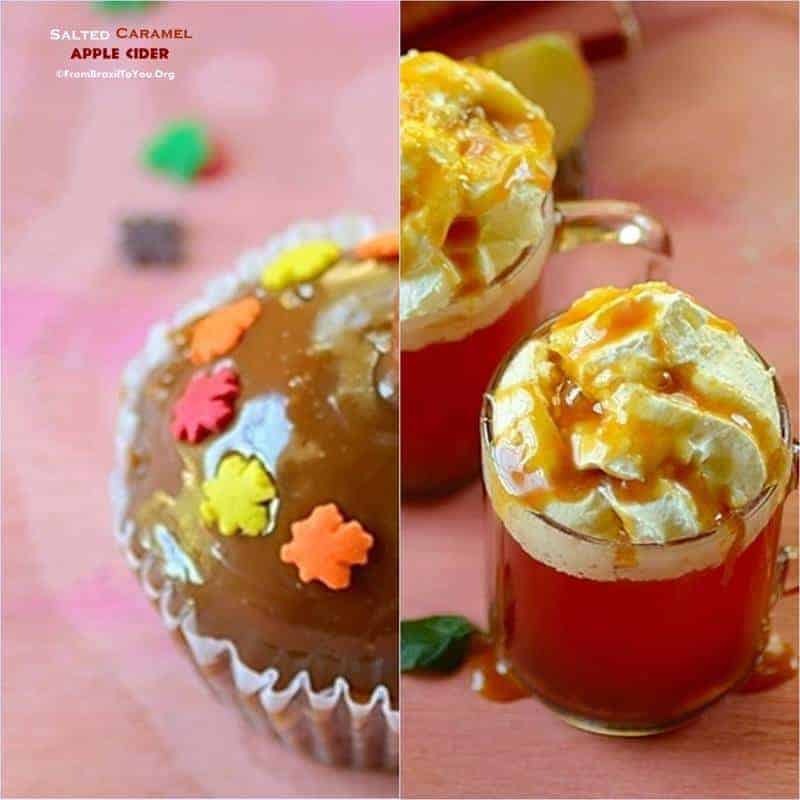 Pour apple cider in 2 cups, top with whipped cream, drizzle with 1 tablespoon caramel sauce per cup, and sprinkle sea salt on top. 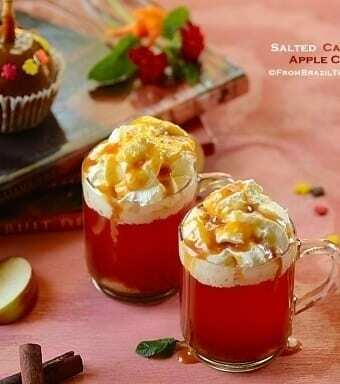 Serve salted caramel apple cider immediately and enjoy! Hope you will feel completely recovered soon! not fun to be sick…. This would make me feel better, too! This drink sure looks my lady. Hope you get better soon. Drink tons of water and rest a lot. Hope kiddos are doing good. You know I’m pinning this. Thanks so much for sharing it, Ash! I do appreciate it. I am glad that you can make your own using this recipe, Francesca. Enjoy! What a treat you gave us with this luscious Caramel Apple Cider, mmh. Thanks, Daniela! This became one of my favorite treats. Hope you are getting better Denise! Sending warm thoughts and a cozy bowl of lentil soup your way! The Quick Salted Caramel Apple Cider is so comforting! A perfect treat for sharing around a warm fire while we embrace the season. Thanks, my dear Deb! I feel better than last week although I am still sick. I think everybody can feel much better after drinking this. Thanks, Raymund! But the best was the apple cider itself. How did I miss this beautiful post! I am a big fan of all things with a sweet and salty combo and Salted Caramel tops my list. 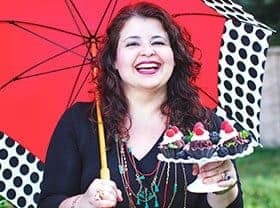 Just love this recipe. So simple yet delicious!